I think one major aspect of RC as well as CR is getting used to the style of writing of the GMAT. Reading ficition is nice, but what I think is even more important is to read text passages that are similar to the GMAT. Please add any sources you also find helpful. Those are all great resources. I would just add that within the Harvard Magazine site, under research tab you can find different areas like humanities, social sciences - which are great types of passages for RC. The usual Economist, Scientific American are great resources as well. That's definitely a great list. 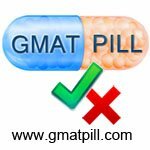 I would stress reading those articles that best approximate the level of sophistication of an actual GMAT passage. For instance, some science passages I've encountered do not go too in-depth, are oftentimes leavened with extended quotations from a scientist or scientists. To really whip your brain into RC shape, I highly suggest reading articles from the New Yorker. For instance, the science articles written by Elizabeth Kolbert (they are printed every couple months or so) are often longer than 10 pages. Working your way through the prose, which is dense and synatically sophisticated, will make the 400-word GMAT science passage seem far less daunting. For books relating to topics dealing with science and the like I recommend Simon Winchester. Is 400-page book, Krakatoa, nicely balances the complexity of plate tectonics with the sociocultural backdrop that accompanied what he suggest may be the loudest explosion ever heard by man: the entire volcano Krakatoa completely exploding the island it was a part of (the sound could be heard as far as a few thousand miles away). Other books such as Guns, Germs, and Steel by Jared Diamond are also helpful extended works that will get you used to reading information dense writing for hundreds of pages. Great post. I am, bookmarking it for future. Wonderful suggestion Chris. Thanks... can you post links to some such articles.